You may wish to consider the advantages of option spread trading over simply buying calls or puts and hoping for the market to go in the anticipated direction, if consistent positive cashflow from option trading is your aim. Option spreads can be used in a number of ways, from the simple debit or credit spread, to more advanced and complex strategies such as the calendar spread, the butterfly, the iron condor and the like. So what is it that defines option spread trading? It is simply about taking opposite positions in terms of buying to open and selling to open (ie. writing) a number of option contracts for the same underlying financial instrument, but using different strike prices or expiry dates, thus creating a spread of positions as part of a single strategy. Creating an options spread trade can give a number of advantages. Firstly, although it will cost you more in brokerage, the overall position will ususally be cheaper than just straight out buying. This can make all the difference if your trading capital is not very much. Your trades will cost less, so you have more control over money management. Secondly, options spread trading will usually eliminate or reduce the element of option price volatility, or at least allow you to use it to your advantage. Volatility is when an option strike price becomes inflated or deflated in comparison to the historical volatility of the underlying, due to high or low demand at the time. Thirdly, options spread trading will allow more flexibility when choosing the expiry date. Because you are selling to open as well as buying, you can often stretch out the expiry date of both positions without affecting your overall cost for the trade. 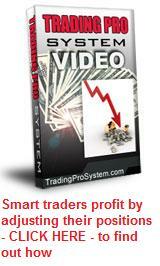 This will allow you more time to be right and make a profit. You could even now ‘average down’ by taking out another call debit spread at lower strike prices. The combination of this new spread, plus the long call still held from the old position, could make you well over 100 percent profit on your investment, even if the stock only returns to it’s original level at the time of your original trade. With option spread trading, you can sometimes take advantage of the situation even when the price goes against you. Let’s say you have taken a call debit spread, seeing that the price of the underlying has fallen recently and believing it is due for a rise. But to your disappointment, it continues to fall. This now means that your ‘sold’ position, being further ‘out of the money’ than your bought positions, will be very cheap. So you can now buy it back for a fraction of what you received for it. If you’ve allowed yourself plenty of time, you now hold only your bought position and simply wait for the underlying price to rise again. Credit Spreads – these occur when you do the opposite to the above. You sell closer to the current market price of the underlying and buy further ‘out of the money’. Since the option prices closer to the money will be more valuable than those further away, you will receive a credit to your account. Option spread trading provides the trader with some powerful advantages over simply ‘going long’ on an option contract. These advantages give greater flexibility when things go wrong, decrease your cost per trade and allow you to extend the expiry date of your positions (assuming there is sufficient open interest) at little or no greater expense. There are some other things you need to pay attention to, but if understand what you’re doing, there is a tremendous amount of money that can be made. Victory Spreads are a powerful way to make money with options. There is virtually no risk but with massive profit potential. Vertical spreads involve a combination of options positions where an equal number of options are simulatneously bought and sold but with the same expiration date. This matter of how to do credit spreads is really interesting. There are huge benefits with this nice option trading strategy and you can choose either a low risk trade or a high probability trade.